Start quickly with the cross-functional graphic organizer software and create a concise and efficient graphic organizer with beautiful templates and attractive design elements. 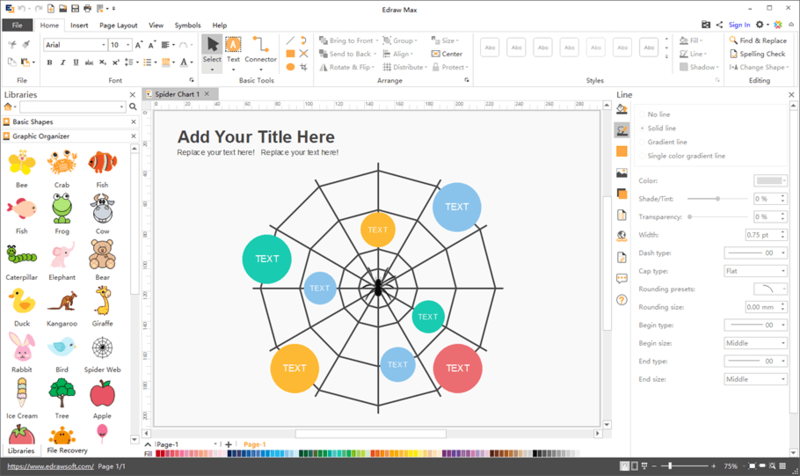 Edraw Max is a cross-platform diagraming software available for Windows, Mac and Linux. You are allowed to use the built-in templates for free to save time from creating new ones. What's more, you may sparkle inspirations from the templates and customize graphic organizers of your own. With concise and multi-functional UI similar to that of MS Office software, Edraw offers you a quick start in no need of drawing skills. 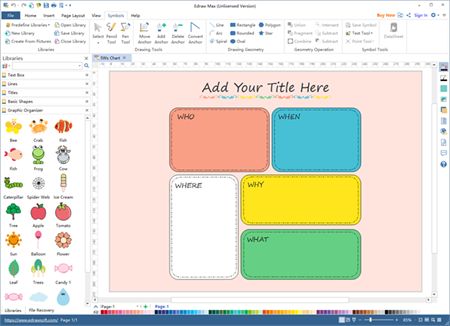 Abundant colors, shapes, icons, symbols and clip arts make it easy to design an attractive graphic organizer of different usages. Whatever types of graphic organizers you intend to create, Spider chart, T Chart Sequence chart or Storyboard, you will love delicate separated elements in libraries that this program has prepared. Libraries will not limit your inspirations. You can create a new library of what you need beyond existing elements. Special tools such as pencil tool allow you to draw anything in your mind related to graphic organizer element by yourself. Create any quick thoughts in your mind freely without constraints to customize you own graphic organizers. 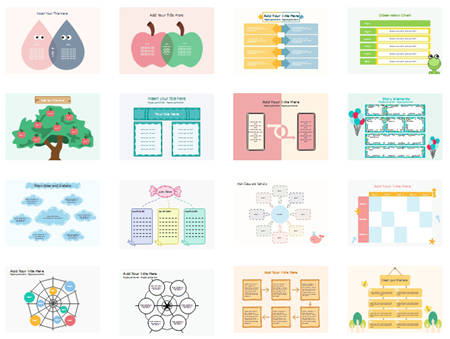 For users who require graphic organizer examples to gain more inspirations, Edraw Max has provided a series of editable examples available to free download. You can use them as templates to start your design quicker. 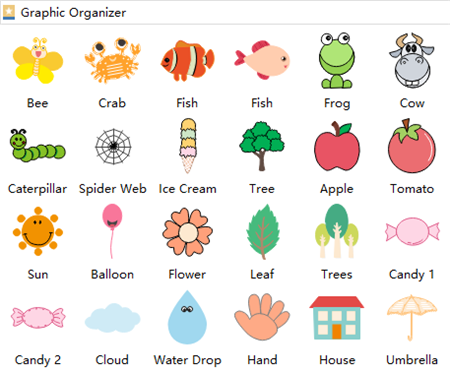 The all-in-one diagraming software contains symbol libraries for different types of graphic organizers. Open one of the templates below will get quick access. 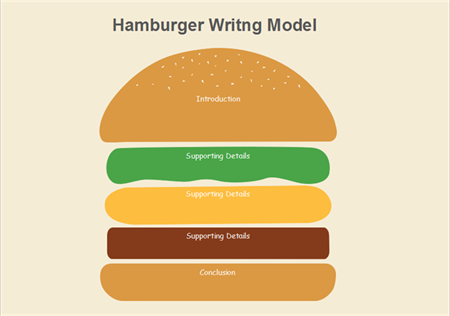 Download the Graphic Organizer Software for Free! Download the easy and fast graphic organizer software now! We offer a free trial for 30 days. Any questions of this program can be sent to support@edrawsoft.com. We welcome any comments and suggestions on our software.